Jeff Dorman, partner at crypto asset management firm Arca Funds, spent 18 years on Wall Street and in fintech before turning his focus to developing crypto asset strategies and products. This article originally appeared in ‘Institutional Crypto,’ a weekly CoinDesk newsletter focused on the nexus of Wall Street and crypto assets. The opinions expressed in this article are the author’s own. Through meetings with over 100 institutional investors over the past four months from California to New York, one thing has stood out most − an overwhelmingly positive response. These endowments, family offices, pensions and other institutions are enthusiastic about crypto assets despite an overall pullback in crypto valuations upwards of 75 percent from their all-time highs. Those that are well versed in crypto, and considering an immediate allocation. Not surprisingly, each category of investors had different questions and goals. Learning a new industry can be daunting. You’re 100% long the financial system right now! Even if you moved to 100 percent cash across all of your investments, you are still 100 percent long the financial system (via the banking system). As we saw in the 2008 banking crisis, 2011 European sovereign crisis and the 2018 emerging market currency crisis, there is systemic risk out there that investors want to hedge against. Crypto offers investors exposure outside of the traditional financial system, and many argue it is actually more dangerous NOT to have some exposure to crypto than it is to have a small allocation. Crypto is both an asset class and an infrastructure. As an asset class, there are opportunities today to participate in the growth of emerging technologies. The pie is growing even as prices collapse and, with enough research, you can figure out which slices of the pie to grab.As an infrastructure, you have time to wait. But you’ll want to familiarize yourself today because one day soon, every asset class you own may be represented in digital asset form (equities, fixed income, real estate, hard assets). Viewing the utility of cryptocurrencies through price alone misses the fundamental revolution. Cryptocurrency and blockchain have uses far beyond price. 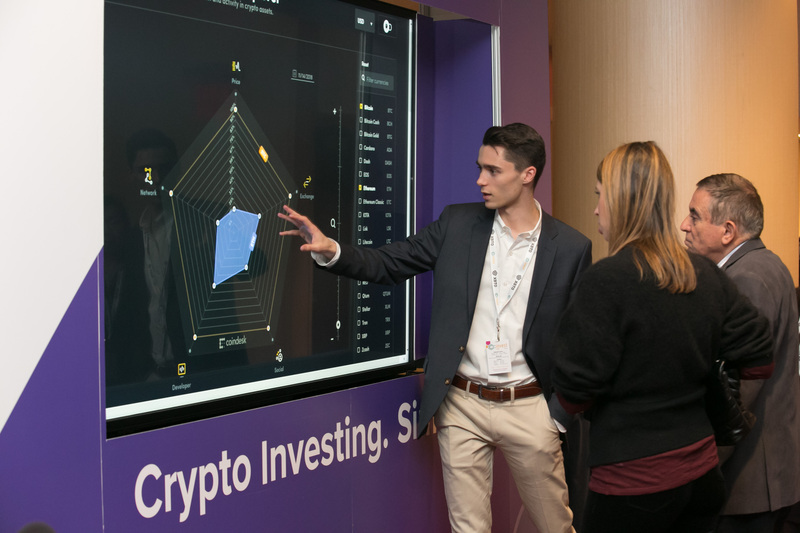 What matters most is understanding how crypto assets can meet their goals and fit within their risk tolerances, as well as how it fits as a smaller piece of an overall balanced and diversified portfolio. Understanding every nuance is secondary. For example, most investors who invest in healthcare equity funds don’t fully understand Medicare reimbursement, hospital admissions and patent processes. Instead, these investors know enough to recognize that they want exposure to healthcare, and then hire experts to express the individual views for them. This is likely what will happen in crypto. Don’t focus on how high it can go; focus on how low it can go. A good fund manager in any asset class tries to capture most of the upside, while ensuring that downside risk is mitigated. This is an especially important message for investors to hear in crypto, since most of what they see and hear strictly focuses on outlandish return potential. DO NOT short this market today. I’ve spent my entire career trying to isolate idiosyncratic risk and removing market risk through cap structure arbitrage trades and long-short trades, but this strategy does not yet work in crypto for a variety of reasons (asymmetric upside, low liquidity, high costs, etc). As such, the best hedge today is simply not to own a token that you don’t like. Currently, the best way to protect against the downside is by sizing positions correctly according to risk/return profiles, taking chips off the table when this equation is no longer favorable, and using derivatives to hedge tail risk. A top-down AND bottom-up approach. Active management matters in crypto, perhaps more than in any other asset class, because of the large swings and bifurcations between top performers and underperformers. Understanding the macro landscape (top down) while simultaneously searching for value (bottom-up approach to security selection) is how to take advantage of current market conditions. Few investors want to hear about best ideas because they are not ready to execute them on their own − but they do want to understand the process. Conversely, the biggest pushback from this group is that the underlying asset class itself is still so new, and it’s hard to invest in something that has unknown tangible value. But it’s important to remember that many asset management strategies can work on top of any underlying asset class. For example, there are managed futures funds that focus on very esoteric underlying assets (like weather futures). Others in this group point to how some crypto assets are “frauds” or have market values in large excess compared to value. But this exists in traditional asset classes too. There are hundreds of penny stocks that retain market cap value and trade, despite no underlying value. And there are plenty of “stub bonds” in the corporate bond and distressed market that have no value but remain priced and trading for decades. As the overall size of legitimate crypto assets grows, these outlier, “worthless,” tokens will fade and become less impactful. As you might expect, investors in this bucket are trying to figure out which managers they trust to generate high risk-adjusted returns in the crypto space. In addition to focusing on risk management like group 2 above, this group of investors often got much more granular with their questions about what specifically goes into a crypto portfolio. Developers are the new research analysts. Research has greatly evolved over the past decade, especially with the emergence of digital assets. The ability to read lines of code in GitHub, test pre-launch products and engage with various development communities is a must for any fund investing in this space. What is ‘fundamental research’ in crypto? This is a smart question. Unlike traditional asset classes like equities and fixed income, there is no widely agreed upon Graham & Dodd Security Analysis in crypto. BUT, that doesn’t mean valuation frameworks aren’t in the works. There has been great work done like MV = PQ, NVT analysis and even variations of Metcalf’s Law. It’s right to question the fundamental value of these new technologies, but wrong to dismiss the lack of progress. Looking ahead, this group is already excited about today’s crypto assets, but also focused on what is coming in the future. They want to align themselves with managers who are in a position to take advantage of today’s opportunities, while also being on the front-line when new opportunities arise. This past year has opened my eyes to the progress that is being made on both the technology side and the education side. Whether investors have a specific mandate or not, most are trying very hard to figure out where crypto fits into their process and portfolio. While it is true that many funds already have some secondary or tertiary exposure to crypto via their traditional hedge fund or VC investments, it’s becoming clear this alone is not satisfying their needs. As stated earlier, “Crypto is pretty hard to ignore right now.” Unless investors want to completely write it off, they will have to figure out how to get involved.